Francis Pharcellus Church, an editor of The Sun newspaper, was the one who said, "Yes Virginia, there is a Santa Claus" when he answered the letter from eight year old Laura Virginia O'Hanlon that asked, "Is there a Santa Claus?" Since this editorial published in 1897, the quote has gone on to embody the spirit of Christmas. It has also spawned many versions in earnest and in jest in books, movies, television, newspapers and music. "...There is a Santa Claus"
One of the most famous quotes to inspire generations of people came from an editor from New York's The Sun newspaper. When Francis Church answered the inquiry from Virginia, he probably didn't realize that over one hundred years later, his words would still ring in the hearts of Americans. Dear Editor: I am 8 years old. Some of my little friends say there is no Santa Claus. Papa says, "if you see it in THE SUN then it's so." Please tell me the truth; is there a Santa Claus? Church answers her by talking about issues that she may not yet understand but sadly soon will, such as skepticism from people with narrow minds that refuse to believe in Santa Claus. He applauds her for faith and for continuing to believe in the unknown in the face of others that demand to know how magic works. His exuberance shows that even adults can still cherish the all the mystery that surrounds Christmas. This short answer has become the most printed editorial to date. In addition, the quote has spawned a children's book titled "Yes Virginia," a television show based on the characters, and a History Channel documentary. Laura Virginia O'Hanlon died in 1971 but the famous question and answer live on. "Who Said \"Yes Virginia. There is a Santa Claus.\"?." YourDictionary, n.d. Web. 20 April 2019. 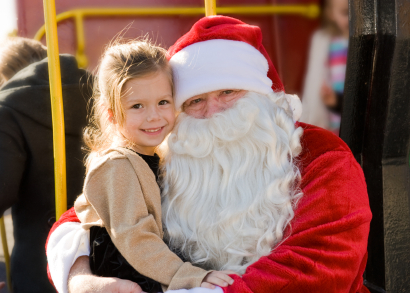 <https://quotes.yourdictionary.com/articles/who-said-yes-virginia-there-is-a-santa-claus.html>. Francis Pharcellus Church, an editor of The Sun newspaper, was the one who said, “Yes Virginia, there is a Santa Claus” when he answered the letter from eight year old Laura Virginia O’Hanlon that asked, “Is there a Santa Claus?” Since this editorial published in 1897, the quote has gone on to embody the spirit of Christmas. It has also spawned many versions in earnest and in jest in books, movies, television, newspapers and music.